Happy to say it didn't disappoint, for me or my kids. 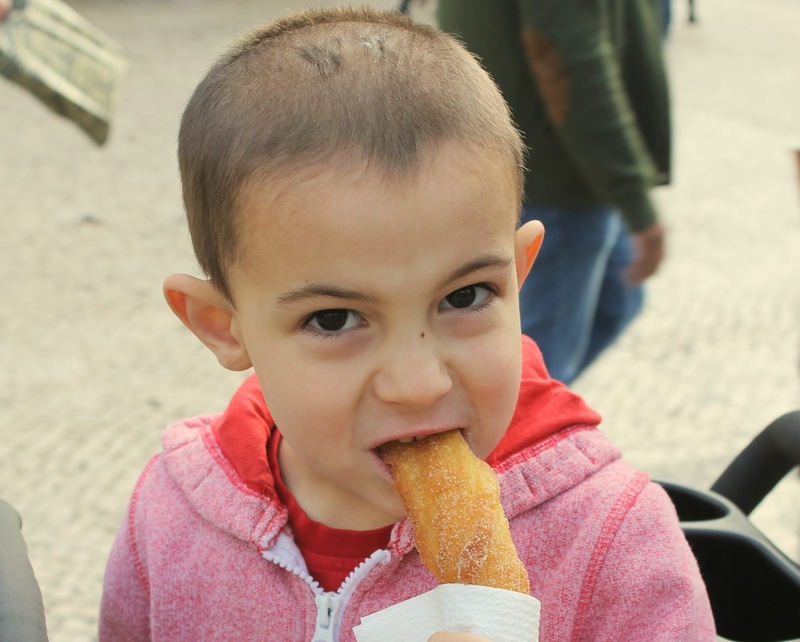 Eating a churro from a Lisbon food cart. Here's a look at how we spent our time in Portugal, and why we loved it so much. More detailed information on our days there and where we stayed to come. Day 1: Flew from London's Luton airport to Lisbon. Checked into Altis Prime Luxury Apartments and spent the afternoon exploring Belem in Lisbon. Day 3: Day trip to Sintra. Day 5: Enjoyed the Martinhal Resort. Day 6: Left Sagres for the Faro Airport. Flew from Faro back to Luton. All four of us loved the mix of sightseeing and relaxation by combining a city trip with a resort experience. We're glad we started in Lisbon, when we were full of energy, and happy we ended in Sagres, where we could just enjoy our beautiful surroundings. We hope to recreate this combination on future week-long trips. Despite our rental car trouble, it's easy to get from Lisbon to the Algarve (where Sagres is located). And had we been able to make a few pitstops instead of dealing with car trouble, it would have allowed us to see portions of Portugal away from the cities and resorts. By flying into Lisbon, but home from Faro, we didn't waste time circling back to Lisbon. Cost difference was actually less than what would have been an extra day of car rental. It was difficult to do everything we wanted to do in Lisbon in just 2 1/2 days. Another day would have been ideal. Perhaps I'd feel differently if we hadn't been deprived of an entire afternoon in Sagres, but I would have really enjoyed spending another day there, also. This itinerary would be ideal if spread over 7 full days, instead of 5-6 like we did. Savoring the beach at the Martinhal Resort in Sagres. The beauty of it. Yes, the country has fallen on hard times. (Portugal's economy, like several other European nations, has crumbled in recent years.) 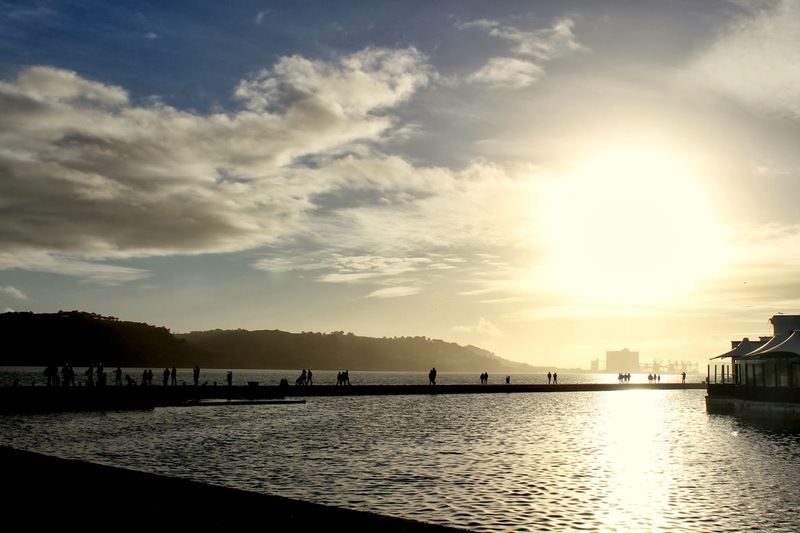 But if you can look beyond the occasional empty store front, you'll find stunning architecture, an impressive history, rolling hills, and gorgeous coastlines. Each day, at some point, I would say to my husband, "I think this is the prettiest place I've ever been." And I meant it, even if it was topped 24 hours later by the next gorgeous thing we saw. They adore children. My kids have never been loved on as much as they were in Portugal. There is a difference between a culture that tolerates children and one that embraces them as the gift they are. I have now experienced this and it's so amazing. We interacted with more local people on this trip than any other we've taken. Solely due to our kids. Family-friendly. Beyond everyone tickling Little Arrow and doling out high-fives to Big Arrow, it was just easy to explore this country with kids. The Lisbon Metro was relatively stroller-friendly. There are many casual cafes and child-friendly food options. We were even whisked out of the passport control line at the airport in Lisbon and moved straight to the front of the queue because we had young kids. The weather. We visited in late December. I never wore the jacket I brought. No, we weren't parading around the beach in Sagres in swimsuits, like you might hope when visiting the Algarve. But to venture outside without a coat in December feels pretty much like heaven to this Midwesterner. My boys built sandcastles on the beach without shivering, and we ate several meals al fresco. Disclosure: My family was hosted by Altis Prime and Martinhal as part of a writing assignment for Ciao Bambino. All opinions about our experience in Portugal are my own and I was under no obligation to write this post.